International students interested in studying Public Relations in the United States may be interested to know which geographical region is the best fit for them. In this article we will explore where to study Public Relations including where top public relations schools are located, learn about where a strong public relations industry is centered, and help students find a culture that will match their specific interests and personality. 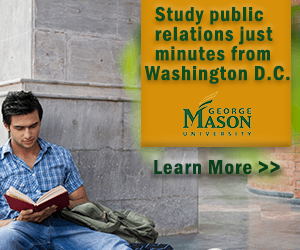 Where to study public relations is a very important factor in the decision process of any international student. The United States is a huge country with several regions each housing their own major cities. Most public relations hotbeds are located in major cities that contain major corporations and companies as well as headquarters of several major companies. One major region that international students will find exciting is the northeast United States. The northeast contains one of the United States’ largest cities, New York City. New York	is home to major industry and a growing public relations presence. New York is the financial capital of the country, and is holds the headquarters from some of America’s largest companies. One of the largest Public Relations firms in the nation, Edleman, has their headquarters located in New York City. The public relations industry in New York is the largest of any city in the world. Some of the top ranked PR firms in the world hold offices in New York. International students interested in where to study public relations will also find that New York is home to some of the top public relations schools in the nation. New York University has an incredible PR program, and seeks to educate the next wave of PR professionals. With its location in the heart of New York City, NYU is able to place PR graduates in some of New York’s top PR firms. Another region that hosts a major public relations industry is the western region, specifically California. California is home to Los Angeles, the media capital of the world. Los Angeles is a major hotbed for public relations firms in the United States. Edelman also holds an office in Los Angeles. Other major public relations firms include: Finn Partners, Cerrell Associates, Zeno Group, and MWW Group. Los Angeles also contains some of the top public relations schools in the United States. The University of Southern California's campus is located in the middle of Los Angeles, a perfect location for international students who want to take advantage of the major metropolitan city’s excellent public relations environment. USC prides themselves on some of the nation’s top public relations graduates, and excels in placing these graduates in top PR firms throughout the city and country. USC offers both master’s and bachelor’s programs in public relations. International students will also find that Los Angeles is one of the most diverse cities in the nation with a distinct culture unlike any other place in the US. Another great region to consider is the Midwest. A large city in the Midwest with a thriving public relations industry is Chicago located in Illinois. Chicago is also home to a slew of public relations firms as well as some of the best schools in the country. The University of Chicago	offers a degree in communications that allows students a wide variety of public relations and media exposure. Other regions that students may want to consider are the South, specifically Texas. Texas has a rapidly growing public relations environment around Austin, and is considered by some to be the future of advertising and public relations. Texas also boasts some of the best schools in which to study public relations. The University of Texas at Austin	has been ranked as one of the top public relations schools in the nation. Whatever region of the United States international students decide to study public relations in, they will find a rich culture and an exciting opportunity to live and study in the United States. With a degree in Public Relations there are many companies throughout the US offering students internship opportunities, so the possibilities are limitless.